Of the Estate grown fruit, the Chardonnay came off first of course & as many of you would have realised there were a few false starts for picking day (given the adjustment of date email I sent out around 3 times!!!). 2019 Elbourne Wines estate grown chardonnay fruit. V19 was an exceptional year. We ended up hand picking the chardonnay fruit on Tuesday 29th January, some 10-11 days after we initially thought we would be picking! The fruit was in amazing condition & had reached a baume of around 12.8 (usually this equates somewhere near to alcohol volume as it measures sugars) by mid January, however, a downpour of around 20mm of rain a couple of days before planned picking actually put the grapes into “reverse”. Daily testing with our hydrometer indicated we had dropped back to 12be & the flavour was also somewhat diluted by the rainfall. Fear not, as the fruit was in great nick with no disease evident & therefore no rush to be taken off! As a result the fruit told us it was ready late January & we enlisted the help of a professional picking crew to get it off early Tuesday morning 29th Jan. The results were phenomenal with the figures & flavour both exactly where we wanted them. Other factors such as irrigation over the winter months, fertilizing the vineyard last year & bird netting the entire vineyard over the last few weeks certainly all came together for us in 2019! The juice looks great in barrel (currently maturing in high quality French oak - 25% new) with a real zippy fresh flavour & great acid line evident at this early stage. Lets just say we were super excited to have such a large volume of exceptional Chardonnay fruit. Can’t wait to see this one in the bottle next year sometime!! 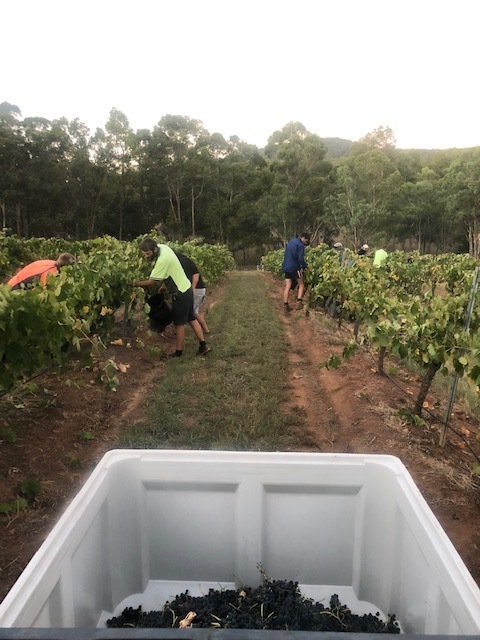 The 2019 Shiraz was a little more straight forward in terms of when it came to picking day. Unfortunately it didn’t all work out for a “weekend” pick to involve our wine club members, family & friends, but it came off exactly on the day it needed to. The results were amazing! Daily testing of the fruit with the broad spectrum vineyard samples & a hydrometer meant we got the picking date spot on for V19. The results speak for themselves & the intense fruit flavour has us predicting one of the best vintages we have ever produced here at Elbourne Wines (and this is up against some pretty handy ones in 2011, 14 & 17). Not unlike the 2017 vintage, there is a real depth of flavour & colour evident even at this early stage with the 2019 estate Shiraz. Coupled with some subtle tannins & natural spice characteristics, this wine is going to meld unbelievably well with some time (only around 5 months) on high quality French oak (25% new). Like the Chardonnay, we can not wait until this gem is safely bottled early next year & ready for the market place in (maybe) late 2020 or early 2021. Lucky we have the 2017 & 2018 vintages to keep us going in the meantime!!! 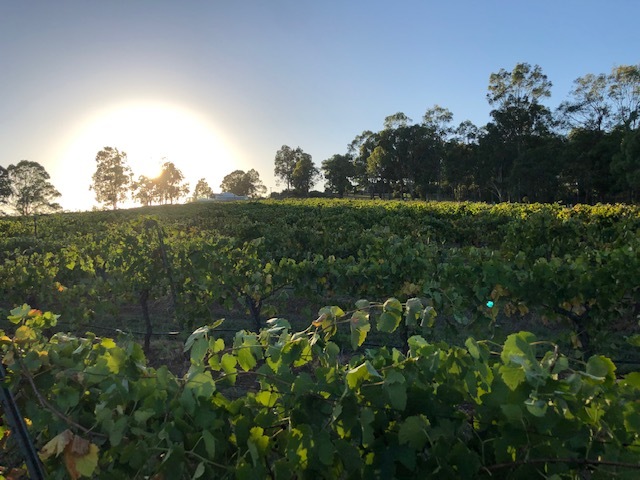 All in all the 2019 vintage was another ripper for the Hunter Valley & this makes it 3 exceptional years in a row which is often uncanny in the region! As they say you need to make hay while the sun shines, so we have certainly adhered to this analogy in spades! Thanks again to everyone who has helped along the way, (none more so than our viticulture consultant Neil Stevens & wine maker Nick Paterson) and of course to all our members & supporters who have backed us through consuming our product! We look forward to welcoming you here to the Hunter Valley for a tasting of some of the 2017 version soon!